Would you like to get matched with a lender now? Non-prime mortgages are making a comeback and new lenders are introducing new programs almost monthly. While the current loan products are not quite like the pre-recession subprime mortgage programs, they are increasingly becoming available to borrowers with lower credit scores, the self-employed, and other types of borrowers that have been left out from getting a mortgage for almost a decade. We maintain close scrutiny of all mortgage lenders, guidelines, and programs, and update our website as new information is released. 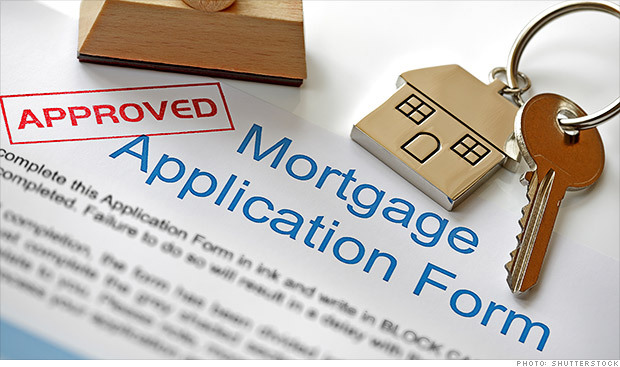 As of December 31th, 2018, the following mortgage lenders appear to offer the best options for non-prime borrowers. Citadel Servicing is the largest of all non-prime mortgage lenders, including those that offer a bank statement loan program. One of the reasons that Citadel is so popular is they allow up to a 90% LTV with bank statements used for income documentation. They also offer quite a bit of leniency on credit history. This includes credit scores down into the mid-500’s, and no seasoning requirements on major derogatory credit matters, such as bankruptcies, foreclosures, or short sales. States: AL, AR, AZ, CA, CO, DC, DE, FL, GA, ID, IL, IN, KS, KY, LA, MD, ME, MI, MN, MT, NC, NE, NH, NJ, NV, OK, OR, PA, SC, TN, TX, UT, VA, VT, WA, WI, & WY. Northstar Funding offers several highly competitive non-prime loan products, including stated income loans, foreign national mortgages, asset depletion loans, bad credit mortgages, and also options for people even just one day out of a bankruptcy, foreclosure, or short sale. They are also considered one of the best FHA approved lenders, allowing credit scores as low as 500 on FHA loans, on both purchases and refinances (including cash out refinances). States: CA, CO, CT, DC, GA, IL, MD, NC, NJ, NY, PA, RI, SC, and VA.
Angel Oak Mortgage Solutions is now offering loans to people with credit scores as low as 500. You can use their quick quote form to see what you may qualify for. If you are willing to place 10% or more for a down payment (the maximum LTV they allow is 90%) you may qualify with a low 500’s credit score. You can learn more details about what Angel Oak offers on their non-prime program overview. States: AL, AZ, CA, CO, CT, DE, DC, FL, GA, IL, IN, IA, KS, KY, LA, MD, MI, MN, MS, NJ, NV, NC, OK, OH, OR, PA, SC, TN, TX, UT, VA, WA and WI. Athas Capital offers what they technically call subprime loans. The guidelines for the Athas subprime mortgages require that you must have at least a 520 credit score, and 2 years of verified bank statements. The bank statements are allowed to be used instead of pay stubs and tax returns for verifying employment and income. DTI ratios must also be supported, which the specific debt-to-income ratios for their subprime loans are usually capped at 50%. States Athas Capital Offers Subprime Loans in: AZ, CA, CO, ID, OR, and TX. States Athas Capital Offers Hard Money Loans in: AZ, CA, CO, ID, KS, MT, NE, NM, OK, OR, TX, UT, WA, and WY. Caliber Home Loans offer the Fresh Start program. This non-prime loan product accommodates to borrowers who can prove their ability to repay a mortgage, but do not qualify for traditional mortgage products. There are no seasoning requirements for major credit issues, such as foreclosures and bankruptcies. The guidelines pertaining to credit are also quite lax. The minimum FICO credit score for the Fresh Start program is a 580. The minimum down payment is 15% and loan amounts are available from $100,000-$1,000,000. States: AL, AK, AZ, AR, CA, CO, CT, DE, DC, FL, GA, HI, ID, IL, IN, IA, KS, KT, LA, MA, MD, ME, MI, MO, MS, MT, NC, ND, NE, NH, NJ, NM, NV, NY, OH, OK, OR, PA, RI, SD, SC, TX, UT, VA, VT, WA, WV, WI, and WY. Non-prime loans are also available in Puerto Rico and Virgin Islands. Quicken Loans is the nations largest online lender. They fund a wide range of types of mortgages, including those catering to borrowers with lower credit scores. They are not technically a subprime lender, but they do offer many non-prime programs, including their famous Rocket Mortgage. States: All 50 States, including Alaska and Hawaii. States: AZ, CA, CO, DC, FL, GA, HA, MD, NJ, OR, TN, TX, UT, VA, and WA. Carrington Mortgage Services provides mortgages to qualifying applicants with credit scores as low as 500. Another great thing about Carrington is their willingness to participate with down payment assistance programs, and even help guide borrowers through the qualification process of receiving down payment assistance. States: AL, AR, AZ, CA, CO, CT, DE, FL, GA, ID, IL, IN, IA, KS, KY, LA, MD, ME, MI, MN, MO, MS, MT, NE, NC, NH, NJ, NM, NY, OH, OK, OR, PA, RI, SD, SC, TN, TX, UT, VA, WA, WV, WI, and WY. Greenbox Loans offers mortgages that allow credit scores as low as 600. The maximum LTV is 80%, and income can be verified using 24 months of bank statements. The highest loan amount available is $1,000,000. States: AL, AR, AZ, CA, CO, CT, DE, FL, GA, ID, IL, IN, KS, LA, MD, MI, MS, NC, ND, NJ, OK, OR, PA, TN, TX, and WA. 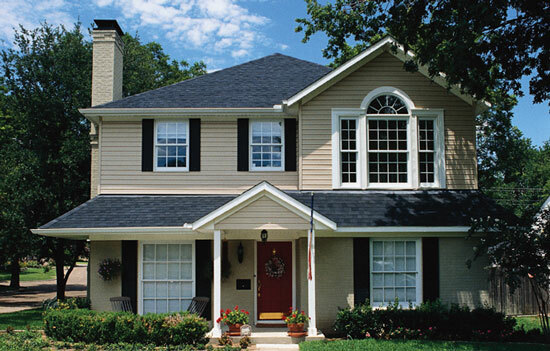 Oak Tree Funding offers several different non-prime products. The core product they offer is their Non-Prime Select program. This product allows credit scores as low as a 540. maximum LTV varies depending on your credit score and type of income documentation you can provide. Alternative income documentation (2 years bank statements) is allowed. Other attractive features are that you only need to be one year out of a bankruptcy. You can view more details of the programs that Oak Tree Funding offers here. States: AZ, CA, CO, FL, MD, NM, OH, NV, OR, TN, TX, UT, and WA. The above options were selected as the top 10 non-prime lenders for 2018. There are many other great options though, some of which may offer you a better loan program for your particular needs. You may want to visit the follow mortgage lenders websites to view their programs. Also, we provide a lender matching service, which will help connect you with the best non-prime lenders based on what you qualify for.